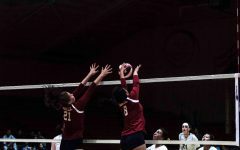 Freshman Erica Zee athletically spikes the ball in the Cardinals’ victory 25–13 and 25–14 against the Washington Eagles on Oct. 24. Photo by Karina Huft. 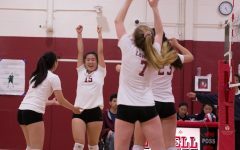 On October 24th, the Lowell junior varsity girls’ volleyball team beat the Washington Eagles at the Battle of the Birds by 25–13 and 25–14. The Cardinals started out strong and enthusiastic, moving through each rotation with fluidity. 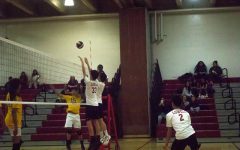 Like other league games, the Cardinals beat their opponents, as the first set was won within 20 minutes, and the second within 25. Throughout the game, the team had a strong defensive base. 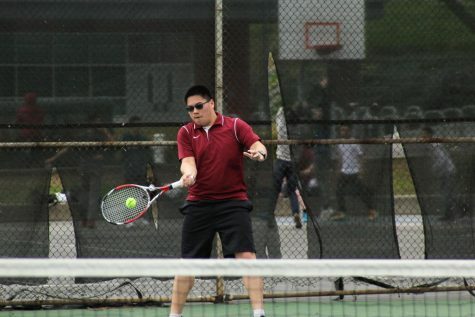 The key is to keep the girls disciplined in their positions, according to new Frosh-Soph coach Josh Jung. By doing so, the entire court is covered, so that no ball should ever touch the ground. 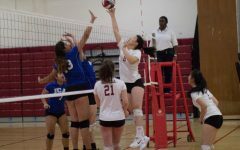 Sophomore middle front hitter Naomi Miner managed to block a total of seven balls in both rounds simply by staying at her base. “If we stay disciplined, then we know that we can beat pretty much anyone in the league,” Jung said. 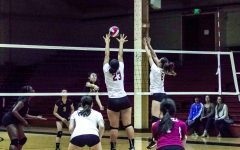 Freshman Ciara Kosai hits the ball over the net in the Cardinals’ victory on Oct. 24. 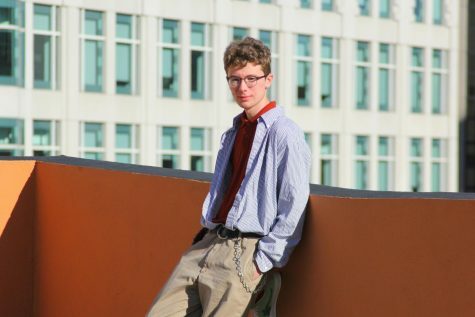 Photo by Karina Huft. 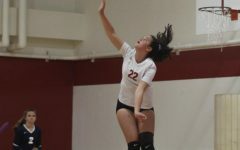 With freshman setters Jane Selar and Erica Zee leading the team, serves constantly flew over the net. 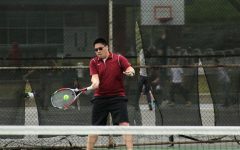 The serves were a strong factor that allowed the girls to win the game, according to Jung. Offensively, freshman outside left front hitter Ciara Kosai lead the team, hitting two aces in a row in one rotation. 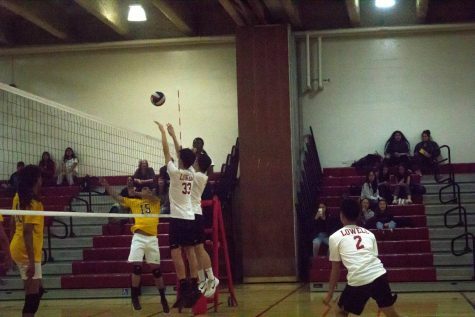 Yee and Baran also made major contributions, both hitting a total of four to five kills per set. However, volleyball is a collaborative sport, and no kills or hits would have been made if a teammate was not there to pass the ball. “I do not like individually picking girls out, because volleyball is a team sport and you can not win without every single girl,” Jung said. Reflecting on the game, the team could use more motivation to push themselves to try their hardest, especially when in the lead, according to Jung. 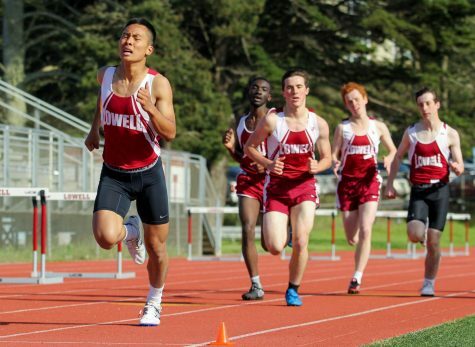 Catch the Cardinals’ in their championship game on Friday, November 14 at Kezar at 5:30 PM.